Frederick William Faber Cong. Orat. (28 June 1814 – 26 September 1863) was a noted English hymn writer and theologian, who converted from Anglicanism to the Catholic priesthood. His best-known work is Faith of Our Fathers. Though he was a Roman Catholic writing for fellow Catholics at that point, many of his hymns today are sung by Protestant congregations. Faber attended grammar school at Bishop Auckland in County Durham for a short time, but a large portion of his boyhood was spent in Westmorland. He afterwards attended the Harrow School for five years, followed by enrollment in 1832 at Balliol College at the University of Oxford. In 1834, he obtained a scholarship at the University College, from which he graduated. In 1836 he won the Newdigate Prize for a poem on "The Knights of St John," which elicited special praise from John Keble. Among his college friends were Arthur Penrhyn Stanley and Roundell Palmer, 1st Earl of Selborne. After graduation he was elected a fellow of the college. Faber's family was of Huguenot descent, and Calvinist beliefs were strongly held by them. When Faber had come to Oxford, he was exposed to the Anglo-Catholic preaching of the Oxford Movement which was beginning to develop in the Church of England. One of its most prominent proponents was the popular preacher John Henry Newman, vicar of the University Church of St Mary the Virgin. Faber struggled with these divergent forms of Christian beliefs and life. In order to relieve his tension, he would take long vacations in the Lake District, where he would write poetry. There he was befriended by another poet, William Wordsworth. He finally abandoned the Calvinistic views of his youth and became an enthusiastic follower of Newman. Faber was ordained in the Church of England in 1839, after which he spent time supporting himself as a tutor. In 1841 a travelling tutorship took him to the continent; on his return he published a book called Sights and Thoughts in Foreign Churches and among Foreign Peoples (London, 1842), with a dedication to his friend, the poet Wordsworth. In 1843, Faber accepted the position of rector at a church in Elton, then in Huntingdonshire but now in Cambridgeshire. His first act was to go to Rome to learn how best to carry out his pastoral charge. Faber introduced the Catholic practices of celebrating feast days, confession and the devotion of the Sacred Heart to the congregation. However, there was a strong Methodist presence in the parish and the Dissidents packed his church each Sunday in an attempt to challenge the Roman Catholic direction he was taking the congregation in. Many of his parishioners were reputed to be living in de facto relationships and the village was notorious for its double standards. He developed the thought of following a monastic way of life and was joined by several men with whom he formed a small community at the rectory. Faber caused a small furore through his publication of a Life of St. Wilfrid, in which he supported the claim of primacy by the pope. Nonetheless he was accepted by the people of the parish. Faber and his small religious community were encouraged in their venture by the Earl of Shrewsbury, who gave them the use of Cotton Hall in Staffordshire. Within weeks they had begun construction on a new Church of St. Wilfrid, their patron saint, designed by the noted church architect, Pugin, as well as on a school for the local children. All of this was for a region which had no other Catholics at that point, other than the household of the Earl. The exertions took their toll on Faber, who became so ill that he was not expected to live and was given the Last Rites of the Church. 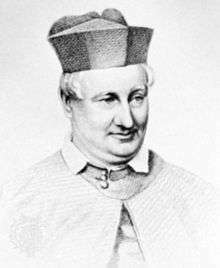 He recovered, however, and was ordained a Catholic priest, celebrating his First Mass on 4 April 1847. In the course of his illness Faber had developed a strong devotion to the Blessed Mother. Prompted by this devotion, he translated St. Louis de Montfort's classic work, True Devotion to Mary, into English. Along with Newman, Faber felt drawn to the way of life of the Oratory of St Philip Neri, with its decentralized authority and greater freedom of life than in religious institutes. His interest was heightened when he learned that Newman himself had become an Oratorian while in Italy. Faber envisioned having his community at Cotton Hall form a new community of the Oratory, with Newman as Superior. However, this could not happen at Cotton Hall since the Oratorian rules required that they be an urban community. The Earl, who had handsomely financed the construction of a new parish for the community, felt betrayed by such a quick departure. Additionally, the Wilfridians, as the Brothers were called, wished to wear a traditional religious habit, upsetting the old Catholic families who had survived centuries of persecution by keeping a low profile. Newman thus proposed that Faber's community settle somewhere other than Birmingham, and suggested London as the best option. Thus in 1849 a community of the Oratory was established in London in William IV Street. On 11 October 1850, the feast of St. Wilfrid, the community in London was established as autonomous, and Faber was elected its first provost, an office he held until his death. He took ill again, however, almost immediately, and was ordered by his physicians to travel to a warmer climate. He attempted a trip to the Holy Land but had to turn back, and instead toured Malta and Italy. The community still lacked a permanent home, and in September 1852 a location was chosen at Brompton. The Oratorians proceeded with construction despite public protests at their presence. Faber had never enjoyed good health. He had suffered from illness for years, developing what was eventually diagnosed as Bright's Disease, which was to prove fatal. In spite of his weak health, much work was crowded into those years. He published a number of theological works, and edited the Oratorian Lives of the Saints. Faber died in 1863 and was buried in the Oratorian cemetery in Rednal, in the West Midlands. Father Faber was the great-uncle of Geoffrey Faber, co-founder of the publishing house "Faber and Gwyer" which later became "Faber and Faber", a major publisher of both literary and religious works. A. W. Tozer, a lay-minister, quoted Faber's hymns often in his writings. He compared Spinoza and Faber in his book The Pursuit of God in this way. ↑ "Calverley Parish Map". Calverley. Retrieved 12 November 2012. ↑ "Frederick William Faber". Owen Spencer-Thomas. Retrieved 12 November 2012. ↑ Faber, Francis Atkinson. "A brief sketch of the early life of the late F.W. Faber, D.D". www.Archive.org. Thomas Richardson and Son. Retrieved 4 September 2016. ↑ Frost, Alan (26 July 2006). "Frederick William Faber". Seattle Catholic. Retrieved 12 November 2012. ↑ Hymntime website. Accessed 18 August 2010. Excerpts and commentary on the book "Kindness" by Faber,including many of his famous quotes, located in Chapter 3 of this website.